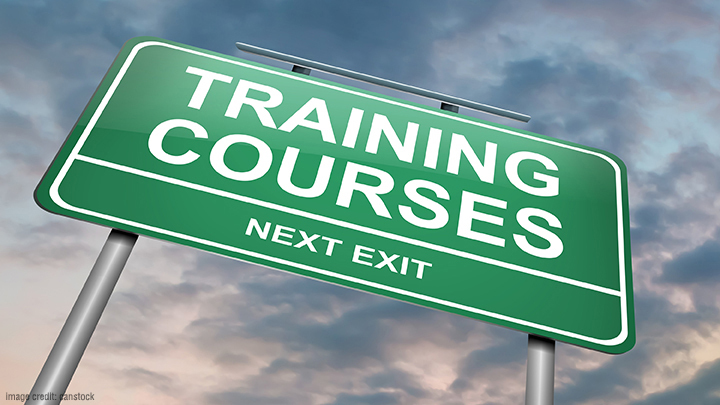 Publishing a training course will increase your visibility and credibility. In this episode, learn effective ways on how you can design your first course and make the most out of it. 01:17 – Why publish a training course? 01:44 – What’s holding you back? 05:04 – What medium is right for you? Knowledge is a system of exchange. [Click To Tweet]. Break the barriers that block you. [Click To Tweet]. James Schramko here, welcome back to SuperFastBusiness.com. Today, we’re talking about tried and tested tips for fast and easy training course creation. After all, knowledge is the ultimate currency that was defined several years ago, and it still holds true until today. As a Forbes.com article declared, an individual success in life is no longer dependent upon where she’s born, what may matter even more is whether she’s born into an information-rich or information-poor culture. Just like any system of currency, knowledge is also a system of exchange. Offer it, share it, give it away for a price or for free, and you’ll most likely get something in return for it. A proven way to do this is to offer a training course. So why publish a training course? Why publish a training course? If you’re able to offer authentic, useful, valuable, high-quality training courses, the returns can be in both monetary and non-monetary value, such as increased credibility and visibility. Do it long enough and be consistent with the value offer and it’s an organic way to become a thought leader and industry authority. You have the expertise and the experience worth offering and sharing to others, so what’s holding you back? Often, the big hurdle is how to get the knowledge you have out of you. To be able to create a training course, you’ve got to find a way to organize what you know and structure it into something that’s accessible and interesting. So what can I do to make the training course design easier? Get a whiteboard or a piece of paper and draw or print a grid based on the following format; now there is an illustration here at SuperFastBusiness.com on this post. So, if you’re listening to this as a podcast, head over to the post called “Tried and Tested Tips for Fast and Easy Training Course Creation,” and you’ll be able to see that graph. 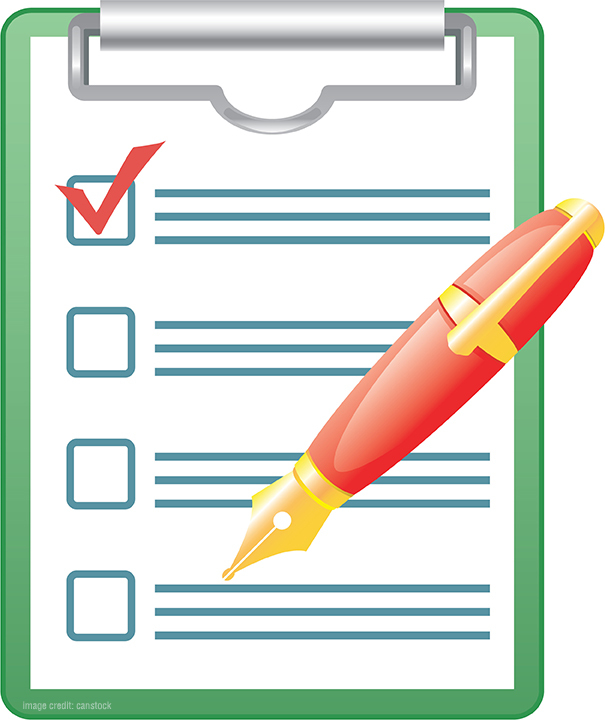 For the first column, make cells for the following: project outline, intro, why, what, how, what if and action steps. And in the second column, you write down the course outline. And the third column and the fourth and so on, you write module one, two, three, four. In the last column, you write summary. Once you’ve got the grid, start filling it in. Do it quickly and it should take an hour or less. And here’s a downloadable template of the framework that you can print out for your use. 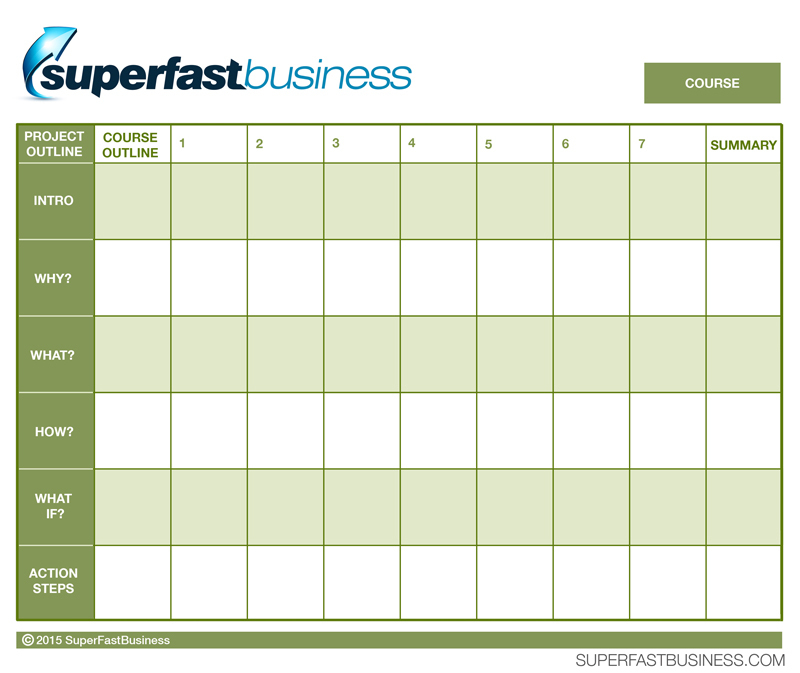 We actually trained on this particular form at SuperFastBusiness Live number 10, in my first session. So if you’re a member of SuperFastBusiness.com and you want to go through the example that I gave, then head in to the membership, go to the SuperFastBusiness 10 recordings, and watch my first training module there, which is something around what’s working right now in my business, and I take you through that form. Now, you want to be authentic about your topic selection. You start with a topic that’s closest to you intellectually and emotionally. This is usually a topic that people keep asking you about, that they associate the most with you. It could be something that you’re most passionate or curious about; it could be something that you have so much interaction with, the course can almost build itself for you. Cover objections off early. The “what if” row is important because anticipating objections right through the planning stage makes your framework even more solid and stronger. Do this for every step, from the introduction right through to the module or the topic. It’s important not to let this sit for too long. Set a limit on how long you’re going to be discussing each topic or module. For video and audio especially, 2 to 12 minutes is ideal. When you go longer than that, you lose retention. Keep it short and snappy, and wrap it up with an action step. End your course with a bang. Make sure the ending energizes. Give your audience something to do after each module. A realistic, results-driven action step they can do as immediately as possible. By doing this, you make the knowledge you share truly useful and impactful. And choose the right medium. Choosing the medium that’s most engaging for your audience and will most likely give them results based on their behavior and learning preferences will be important. Also, stick to a medium that’s easy for you to execute. If you love talking, choose audio or video because you can have that transcribed. If you are a great writer, prioritize e-books or written modules. And if you’re comfortable with the method, it’ll be easier and more realistic for you to produce the succeeding modules on a consistent basis. Later on, you can mix and match various formats: audios, videos, images and infographics all go really nicely together and help different people learn the way that they prefer it. Exploit the framework. Use the intro, why, what, how, what if and action steps format as much as you can, in as many ways as possible. It will definitely change the way you work and produce content. You can use it to flesh out ideas or concepts you learn from a podcast you’ve heard or a training you’ve attended. You can use it to format your next email or your workshop, and you can use it when interviewing resource people. I use them all the time on my interview podcasts. Stretch your content’s lifecycle. Once you’ve got the training content filled out on paper, look for ways to use it for other purposes. If it’s text, turn it into a podcast. If it’s audio, have it made into an infographic. Present it as a webinar, sell it as a product or offer it as a giveaway. Don’t forget to bring it all back to your website. It’s a useful, highly-versatile framework that will ease your content creation process. Leverage it to your advantage. So what if you encounter problems along the way? Well, you don’t have to do it alone. While the framework works every time and it’s so easy to do, it’s possible to still have questions or fears or insecurities. So don’t get bottled up. Actively seek answers from those around you, and be vigilant about breaking the barriers that block you. You can get help from me and other members of SuperFastBusiness by joining our membership. You’ll get other like-minded members in there who are using this framework already, and they can help you get your dreams alive. So the action steps from this module are to get started with the form. Print it out or draw it up and have it filled out as quickly as you can for just module one. Just focus on the first module. Don’t worry about the next ones yet. So congratulations in advance for finally launching your first course! As Herbert Spencer said, “The great aim of education is not knowledge but action. I’ve drawn from a couple of resources for this post. Obviously, I’ve referred to Forbes, but also, there’s been two other posts on SuperFastBusiness. One was called “How to Design Powerful Training Courses,” and the other one is “How to Develop Your Next Course Fast.” They’ve both been extremely popular. I thought it’d be good to put them all into one actionable post. If you pay attention to this podcast, you’ll actually recognize the format being used. So I hope you’ve now got your first course underway. If you need some help, pop in to SuperFastBusiness membership. I’ll be happy to help you there. thanks mate :) awesome post! !